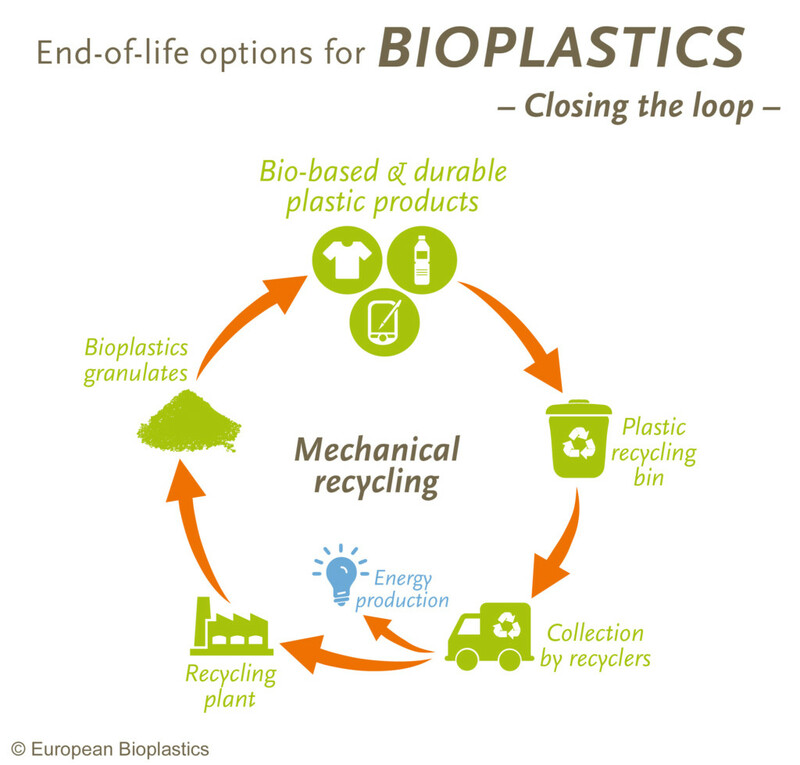 Recycling – European Bioplastics e.V. As most conventional plastics, biobased plastics need to be recycled in separate streams for each material type (e.g. PET-stream). Where a recycling stream for a specific plastic type is established (e.g. PE or PET), the biobased alternatives (bio-PE, bio-PET) can be recycled together with their conventional counterparts. Furthermore, PLA is a bioplastic that is potentially recyclable but for which no separate recycling stream yet exists. The corresponding sorting technology is, however, already available. Specific material recycling of clean production scraps is established and saves valuable resources. The recycling of PLA after its use (so called post consumer plastics) will be feasible as soon as the commercial volumes and sales increase sufficiently to cover the investments required. Numerous research projects and tests have been accomplished or are currently underway organised e.g. by WRAP (UK), COREPLA (Italy), Re-PLA Cycle (Germany), r-PLA (Belgium).